Protestant and Catholic Organizations must support an Immigration overhaul and openly reject Trump’s anti-immigrant policies such as “Zero Tolerance” that separated 17,139 children and toddlers from Central America who were seeking asylum and Trump’s cruel move to end DACA that left 7,800,000 Dreamers in an inhumane situation where they live their lives with uncertainty. In the past weeks, Trump has used DACA as a bargaining chip to negotiate more than $5 billion in federal funds for a “wall” along the U.S.-Mexico border. 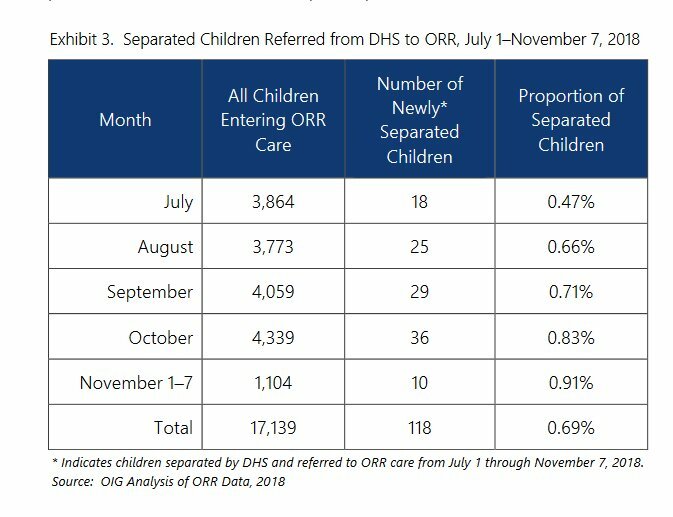 And thus, it is imperative that religious leaders lead in this effort because we are a nation founded on Christian values and those Dreamers and separated children are Christians – Catholics or Protestants. These religious leaders are the only ones that can remind politicians what our Christian values -Protestants and Catholics – truly are. Those recalcitrant “Republicans,” who reject a Comprehensive Immigration bill, publicly claim we are losing our “Christian” culture and justify erecting a “wall” along the U.S.-Mexico border as a last resort to “save” America. How Christian are those views? From the Reformation to our political thinkers like Thomas Hobbes, John Lock and John Stuart Mills; from the Pilgrims to our Founding Father; from the early wave of Irish Catholics who had to fight for their right be recognized as Christians to the current Catholicization of the Republican Party in the 1960, religious leaders have always been the main catalyst of our moral character and compassionate nation each time we have enacted immigration laws in the past. These religious leaders are our pious strength and guidance that have aided past waves of immigrants to be incorporated into our civic society. For more than 300 years, these leaders have been the leading force reminding us that we are indeed a Christian nation with immigrant roots and that we have a long standing tradition of churches aiding immigrants to assimilate and to develop American civic duties. As a Christian nation, we draw our “unalienable Natural Rights” from Hobbes and Locke who argue that God is sole provider of our freedoms, and Churches have had an instrumentals part in developing an American character of patriotism and love for God, law and order. As a nation who believes that we are Godly people and “rational” beings, we presume that our national charter often is the desire of God to have our Shinny City on The Hill; we argue that thanks to our Godly Constitution, we are rational beings who live in an orderly “civic society.” The Laws of nature are a precept, or general rule, based on God’s cause of “liberty and necessity”. These “Laws of nature” clearly entitles men certain rights and “Obligations” (respect for one another) and cannot be taken away by the sovereign—government. Moreover, this religious civic activism and Godly connection between our society (system of laws and government) and God can be traced to early Pilgrim Puritans. Puritans moral ideal in the 1640s tried to exemplify the word of God in their political actions; live by the words God had authored. By becoming political actors, Puritan found fulfillment of their religious beliefs where obedience to an imagined author—God— entitled them to rebel and authorize an actor as their representative. Therefore, religious leaders have always had this pious power to guide our compassionate immigration policies, God have entitled them to oversee our “civic politique” society and intervene when our elected Representative failed in obligations to be moral beings. Furthermore, Thomas Hobbes developed the notion that all men are imbued with Godly natural rights: “it is not against reason that a man does all he can to preserve his own body and limbs, both from death and pain. And that which is not against reason, men call RIGHT.” Hence, according to Hobbes, being a creature of God, and set and motion by God’s own cause–an act of reason–come together and voluntary under this “covenant” of religion and civic society. But because any man‘s act is to be considered a cause set in motion by God (a link), God himself is the cause of the covenant and man’s perpetual liberty. A “covenant“, which has is based on God‘s own creation. So any action by reasonable man and our government—civic politique— must be guided by the God’s desire. And thus, man’s actions is the manifestation of God’s own will. So our Christian religious activism by leaders—Protestant and Catholic– are indeed are God’s own actions and desires to guide our compassionate government policies; God’s desire if for our Representatives to act as “rational” beings and pass rational laws. Thus, it is the role of religious leaders to to remind elected officials what those moral Goldy values are on Immigration. Furthermore, according to Locke, Laws of nature regulated the state of nature. “Natural Rights,” thus, are those rights found in a state of “perfect freedom” where man is the master of his will and person and the creator of laws for the preserving of property and equality and public good. For Locke, man is filled with religious goodness and guided by a Godly “reason”, he toil and he has the natural desire for industriousness…”But here too, men have an uncontrollable freedom of possession, but in even in the state of nature those rights are subjugated to the supreme laws of the Scriptures. In other words, our core Christian values can never be suspended, or substitute. In 1787, when the Constitution was drafted, 98 % of the population was broadly Protestant sharing common culture and the political values embodied in the Declaration of Independence and the Constitution–principles of equality and individualism, which are central to the American character, according to Huntington. This creed was a product of distinct Anglo-Protestant culture of the Founding Fathers, Puritan ideals, more precisely. Religious commonality is important because people identify themselves with those who share a common religion and myth of common culture. Additionally, before there was democracy in America, congregational representation was common rule within the churches–common people elected their representative to regional conferences. Thus, early Protestant churches help develop representative form of government. So the fact that even before there was an American government and a Constitution, religious leaders were already guiding the colonies in creating a moral, civic, orderly and fair society. For this reason, while many may reject the notion that we are a Christian nation, our political system and laws clearly proves otherwise; and churches were the building block of our national character. In the late 18th century, according to Huntington, there was a need to broaden the characterization of American ethnic identity to included Catholics from Ireland, Germany, Italy, Southern and Eastern Europe. 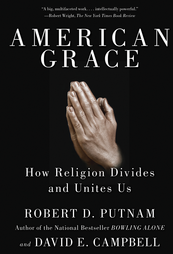 “The ethnic (religious) composition of America was broadened to include Irish and Germans” and churches utilized their religions to transform their alliances from Roman Catholicism to American Catholicism–alliances to Americans institution, not Rome. These new religious groups had to adapt to standards of the Anglo-Saxon patterns of institutionalism. Prior to WWI, the Protestant, Catholic and Jewish groups pushed for integration of their immigrants. “The catholic church used its clergy, schools, press, charity, and fraternal organizations to persuade immigrants to give up their foreign culture and adopt Anglo American culture.” Irish bishops had difficulties to convince Irish immigrants to abandon their traditions to conform to a more “ Anglo-American protestant tradition and values and moralism.” By the turn of the 20th century, Irish catholic schools and churches became a propagation of American values and American nationalism. But this assimilation process of incorporation was not an easy ride for early Christian Catholics. But it was Bishop John Hughes who launched a protest. Hughes proclaimed, “We are unwilling to pay taxes for the purpose of destroying our religion in the minds of our children…” These children deserved their own schools, and de demanded that the New York Public School Society, the Protestant civic leaders in charge of education, make city funds available for Catholic schools. Two years later, the Protestant Public School Society was replaced by the New York City Board of Education, an elected body. John Hughes was named archbishop of New York in 1850. Similarly, the total influx of Italian immigration between 1876 and 1925 was of 4,034,000. Out of this 4 million, 80% were illiterate since most came from poor rural areas in the south. However, many intercultural differences among the Southern Italians were evident because many spoke dialects very different from one another (the modern Italian state was founded in 1902; only of the population 2 % spoke Italian at the time). Thus the involvement of the Catholic Church with its parishes, schools, charities, and religious communities helped shape the “Italian-ness” of Italian-Americans and their national identity as Americans. It was this humanitarian strategy that allowed Church leaders to successfully rally to stop Teddy Roosevelt from signing literacy tests for future Italian immigration; the literacy test legislation would have barred immigration of illiterate people. 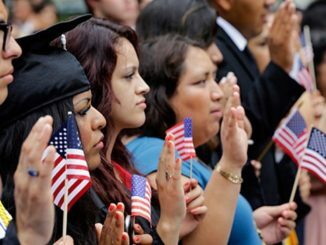 The new waves of immigrant have been predominately Latinos from Mexico and other Latin-American nation since 1990. But, one little known fact is that, while there has been a “white flight” in the Catholic Church for the last 3 decades, Latinos have been the new pillar of the Catholic Church for the last 2 decades. 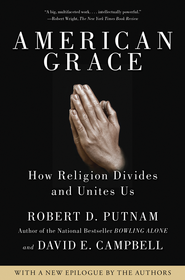 According to Robert Putnam’s book American Grace: How Religion Unite Us and Divide Us, Catholics are about 25% of the US population, a proportion that has remained steady for 3 decades. But, American Catholicism has experienced a dramatic change. Over the last 3 decades, “Anglos”—non Latinos—Catholics have been dropping out and disengaging with the Catholic Church. During the same periods, the numbers of Latino Catholics has grown tremendously transforming the American Catholic Church. Thus, in recent decades as large numbers of ethnic whites Catholics (the grandchildren of early waves of white ethnic Catholics) were slipping out one door of the church, but a large number of Latinos have rushed in through another door. Without the timely arrival of these immigrants and their offspring, the collapse of Catholic mass and Catholicism would have been stepper in America. The transformation of church was so dramatic that of Catholics ages (18 to 35) 58% are Latinos, and ages (35 to 49) 34% are Latino. This Latino presence within the Catholic Church makes it evident that the future of the church will be linked to the future of Latinos in America. And religious believes are linked to ethnicity. But Latinos are also changing the face of Evangelicals churches in America. Most Latinos are Catholic, and most evangelicals are white, but the evangelical Latino population is growing. They number around 10m—or about 16 of Latino population in the US –with strong concentrations in battleground states such as Virginia, Colorado and Florida. In 1850sthe Protestant elites that had to persuade Waspish governments to welcome Irish and German immigrants and to create a mechanisms so the immigrants could be incorporated into Anglo-Protestant “moralsims” of government and society. In the 1920s, the older generations of Irish priests in the east coast built coalition with Protestants to assist new waves of Italians and Eastern European immigrants. Therefore, Religions leaders (Protestant and Catholic, Latinos and non-Latinos) have a moral historical obligation to lead the way for the new waves of immigrants currently in the County without legal status. Also, these Religious leaders need to the tell our Representative in Congress that the debate on immigration must be centered around our traditional Christian compassionate culture, which can be explain as Desire of God wanting to help this newcomers be incorporated into our “civic politique. And, these current Latino immigrants will be the future bearers of the Catholic Church in America, and to some extent the Evangelical movement. And as the early Puritans, we need make possible for them to become Americans. And that is the only acceptable Christian way in American. Russell Moore, president of the Ethics and Religious Liberty Commission of the Southern Baptist Convention, and Samuel Rodriguez, the president of the National Hispanic Christian Leadership Conference, wrote a powerful Op-ed on why “Immigrant-bashers” will lose the Evangelical vote. The two of us don’t know a single evangelical voter, of any ethnicity, who is supporting Donald Trump. That is due to many factors, including his revolving-door marriages and past support for abortion. But candidates who actually have a shot at winning the presidency should understand: Immigrant-bashing offends not only Hispanic people, but also their Anglo, African-American and Asian-American fellow Christians. And they are right to confront “Trump-ism” because in America, religious leaders in the past have rose to the occasion and ask for moral and civil political discourse about Immigrants. Religion is a very powerful force in American politics. Trump-ism is a “cancer” that should not be confused with conservatism or American Christian values. What is the wall really for? As for the wall, the wall has not practical purpose in matter of National Security or stopping drugs from coming in the country and it is a waste of taxpayers’ money. The wall is not a conservative policy proposal. 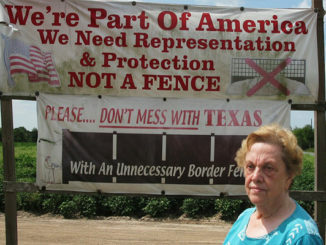 In reality, the wall is cultural anti-Mexico fever promoted by Trump, tea party groups, and culturalists like Pat Buchanan who for decades have painted Mexico and Mexican-Americans in the U.S. as the principal culprits of decline of white-ness and Western culture. Trump tends to use the Israeli-Palestinian “wall” argument in front of religious groups like Evangelicals to promote the notion that Latinos are not of Western European stock with no Christian values. This is the message often used by many culturalists like Ann Coulter and Rush Limbaugh to portray Latino immigrants and their culture as non-western, an “outside” culture that is similar to militant Muslims like Palestinians. And since they are not one of us, it is easier to legitimately create laws and erect walls that target the “outside” group. This is a tactic used since early days of mass Immigration to demonize immigrant Jews, and other non-Protestant groups. The demonizing of Hispanic groups, lately, as not being Western and Christians has often played out well in Conservative Religious circles that support Israel based on their Biblical beliefs. Frequently they used the U.S.-Mexico border as example of how things are in Israel by portraying Latin immigrants as Muslim militant Palestinians and the Israel as the defenders American values. However, as it is often the case, well–intentioned, ill-informed, religious Christian voters fall into a trap and consciously, or unconsciously, promote the wrong message under the mantel of “good Christian values” to de-legitimate and de-westernize group for political purposes. And this is what the wall is. A symbol of what Trump base feels will save white American from brown Latino and Mexican Immigrants. For these people, the objective is to promote the idea that Latino Immigrants are not Christian like us.Therefore, putative laws like 187, SB1070 and a wall that is a physical barrier – even if it’s un-American,- is an accepted method to protect us, Christianity. I Wrote DACA. Now I’m Suing to Ensure Trump Can’t Destroy It. Building the wall is not to keep Christians out. Building the wall is to let people who want to continue being Christian Nation. But imigrants must go thru the door of entry and processed. Donald Trump is not trying to keep people out.Its Evil Liberal politicians who by the way are not true Christians desire the whole world to come in our country who are deceived to vote these destroyers of our foundation, the true church. Wake up America. I am not nvinced this book is telling the truth. Evil has become good and good has become good. We are in the last days. Jesus is coming ! 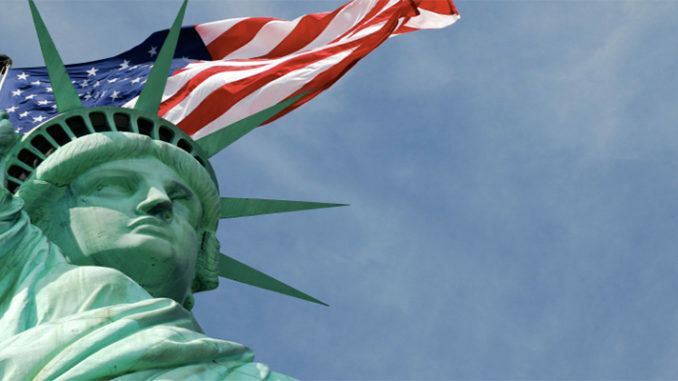 US 2050: What Will America Look Like at Mid Century? 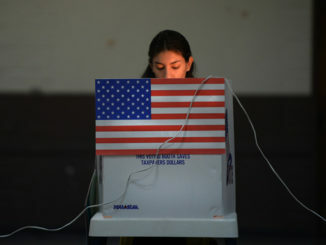 How Did the VCA Affect Turnout of Young, Latino, and Asian-American Voters? Latino Public Policy Foundation (LPPF) is a 501(c)(3) non-profit policy-oriented organization. 6666 Harwin Dr Suite 340, Houston, Texas 77036. 638 Webster St #220, Oakland, California 94607.